E-apps make it easy to sell! The E-App or electronic application process is becoming increasingly popular with agents looking to dominate the industry. It allows them to sell to the millions of seniors looking to buy insurance from their own office with only a computer, a phone line and their own sales skills required. If you are an agent who has succeeded in selling on a smaller scale, then the E-App may be the ticket that allows you to excel in the larger arena. E-Apps save you time and effort by allowing customers to supply a valid electronic signature, thus eliminating the requirement for paper contracts to be mailed back and forth. It is quicker and easier to make revisions on your application and processing time is much faster as a result. Once completed and reviewed, applications can either be printed and submitted with a wet signature or submitted electronically. The whole process is far more swift and simple, and your business receives its money faster. Affordable Access Plans now offers an E-App electronic application tool to help those wishing to use their telemedicine service. E-Apps make the application process quicker and simpler by cutting out paperwork and mailing and reducing the requirement for wet signatures which in turn helps agents increase their sales volume. Assurant Health offers agents and their clients a convenient alternative to paper contracts with their excellent E-App electronic application system. Customers needn't inconvenience themselves with mailing and visits to their agent; it can all be done at home. E-Apps are more efficient than the traditional wet signature process and help you maximize your sales potential. The Cigna Express App affords you the convenience of conducting your entire sale by phone. It isn't necessary to meet the client in person to get their signature or collect their check.Cigna automatically processes all Med-Sup claims within 24 hours of their submission by using the latest technology to accelerate applications. Use the Combined Insurance E-App to streamline your business and increase your sales volume. Sell Medicare Supplement insurance easily over the phone. Contact NAAIP and get contracted to sell these popular Medicare Supplement products today. Dental agents can now maximize their sales potential with the help of the DentalPlans E-App. This offers agents and customers alike a convenient and quicker means of applying for insurance. Once submitted, DentalPlans works quickly to process submissions with no mailing or wet signature required. Foresters popular Final Expense policies are now made more convenient thanks to their implementing E-Apps. Customers of their PlanRight product can benefit from daily telephone interviews and qualification decisions can be made in real time. Agents are offered training to help them get started ASAP. The Heartland National E-App is the easy option when processing applications for both customer and agent alike. No need to travel or conduct meetings. Simply exchange and sign documents electronically, meaning you can not only reach a wider customer-base; you can speed up the process to increase profits. Manhattan Life's E-Application is configured for those wishing to make the application process easier for their clients. Receive commissions quicker and create a more efficient working method with this handy tool from Manhattan Life. 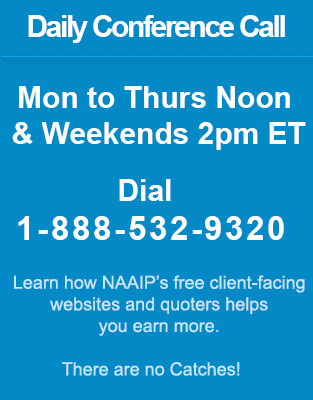 Agents wishing to contract with Manhattan Life can call NAAIP today. Sentinel Life offers an E-App with an Agent Portal which allows licensed agents to boost their sales whilst saving the time and trouble of mailing documents, meeting customers and requesting wet signatures. Sentinel also offer online video instructions to help agents get the most out of their E-App experience. UnitedHealthOne by Golden Rule Insurance Company offers an E-App to help agents streamline the sales process and improve their sales volume. Cut down on paperwork and save valuable time without requesting wet signatures and mailing contracts. Call NAAIP today and get contracted with UnitedHealthOne for health insurance.